Tim Steegh, grower at family company Mts Steegh, decided after two trial years to plant the entire greenhouse with Sevance, De Ruiter's new variety. Tim says: "The first year Sevance was trialed with one row and last season with five. Of course it's difficult to judge a variety based on such a small test, but Sevance stood out with excellent quality and a considerably higher production potential. The flavour and colour of this variety were very good in the trial, without any sign of yellow crowns. We looked at Sevance at fellow growers and the results there were also excellent. The choice was soon made: Sevance will be in the whole of our greenhouse this year." Tim continues: "Compared to our main variety we see a production increase of over 10%. Whereas at the moment we expect a production of 60 kilos per square metre, it was only 53 kilos with our former main variety. Sevance is excellent, so I don't expect any problems in production and quality for the rest of the cultivation." "We pruned the first two vines on 4 and then 3 bunches of 5. The next 3 to 4 bunches were pruned at 6. In week 11 we moved to seven. When pruning the vine quality was taken into account. That means two pruning minimum, 6 blossoms minimum and 7 blossoms on a bunch maximum to get them off the plant as quickly as possible. In week 21 we moved back to pruning on 6. In two weeks we will move to seven prunings, depending on the weather and the quality of the vine, so keep the fruit weight at 120 to 125 grams for the last five bunches." "In this segment the fruit weight can't be over 125 grams. 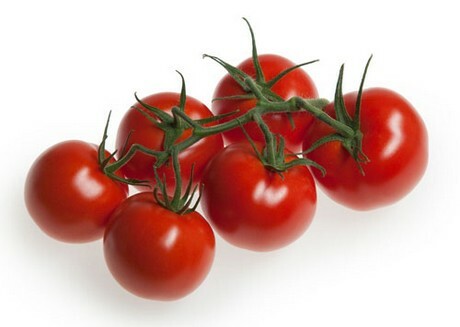 As far as that's concerned Sevance is the ideal tomato with an average fruit weight of 120 to 125 grams. Every grower looks for the sweet spot for selling kilos. I think we pruned one bunch too many at seven which means we had to surrender some weight. But it is still around 120 grams." Tim continues: "Sevance provides very nice, even bunches. It is a variety with a high harvest achievement; we can harvest considerably more kilos per hour. A good variety as far as labour is concerned, although we have to go lower because it's a lower plant." Tim grows Sevance generatively, with large day/night differences. Tim: "During the day we gradually get to 27 degrees. At night we aim for 16 degrees but we won't manage this over the coming week, with the warm weather on the way. In Limburg it's often slightly warmer than in the rest of the Netherlands. But we expect Sevance to continue to do well throughout the warm nights, especially this was the case in the trial last year. Sevance did very well in high temperatures. The heads will come off on September 1, by then we will be able to make up the balance." Tim indicates that the quality of Sevance is particularly good: "The tomatoes taste good, good look, don't have yellow crowns and have a good shelf life, even for the green parts." Mts Steegh supplies through Weyers Gmbh from Venlo, which supplies Sevance to the final consumer. 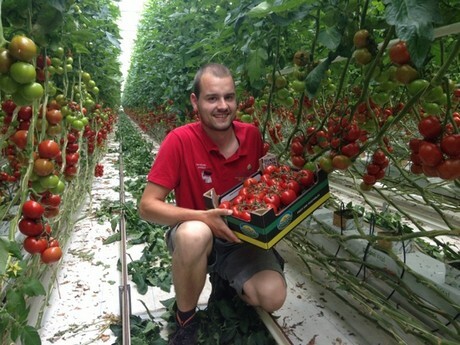 For those who would like to take a look at Sevance themselves, there is the opportunity to look at all new and existing varieties at De Ruiter's open day in the Tomato Experience Centre. It is planned for Wednesday September 7 this year. You can also visit the Tomato Experience Centre by appointment.